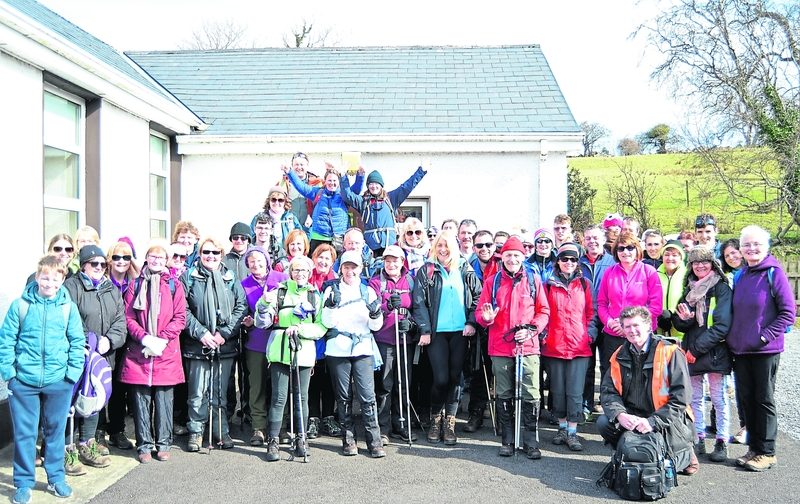 The Glenade Valley was the place to be over Easter as hill walkers gathered for the 25th North Leitrim Glens Hill Walking Festival. Almost 300 people, locals and visitors came from as far as Clare, Galway, Down, Belfast and even Liverpool to enjoy walking in the beautiful valley. 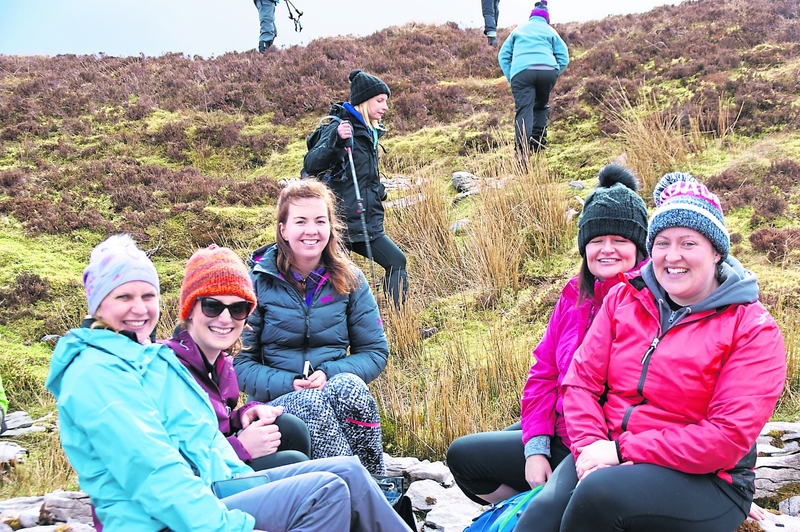 Manorhamilton walkers Patricia Croal, Carmel O'Brien, Nicola Maguire, Valerie McNulty ​and ​Josephine Fowley​ pictured taking a break. A group of 36 An Oige members from Dublin were so impressed with the scenery and hospitality they’ve already decided to return for next year! The festival was based at the Aghanlish Community Centre where locals put on a fantastic spread of homemade scones and cakes to get walkers off to a good start. “It was great having the festival in Glenade, there was a real community feel to the event, the locals pulled out all the stops to make it such a success and people are still talking about the friendliness and the hospitality. It was also a great way for us to support the local group to promote the new Aroo trail,” said Nóirin Clancy of the Holey Soles Club. Easter Sunday was the inaugural walk of the new Aroo Trail Head, an 8km way marked walk which is the result of a collaboration between the local community, landowners, Leitrim Development Company, Sligo Leader and Leitrim County Council. A group of walkers at Aghanlish Community Centre. Guidance to complete the trail was received from the Leitrim Recrea​tion Forum, a representative group of key stakeholders. Guides from Leitrim Landscapes Guided Walks took 58 people along the trail and ​Nuala McNulty from the Recreation Forum congratulated the local community on such a wonderful facility while Colin Regan, also a Forum member, explained to the group of ramblers how the trail came about. After 80 walkers enjoyed a meal at the Bee Park Centre all crossed the road to The Glens Centre to watch a film, Khacchid, on the life of working mules in Nepal. Directed by Fermanagh based Michael Brown. 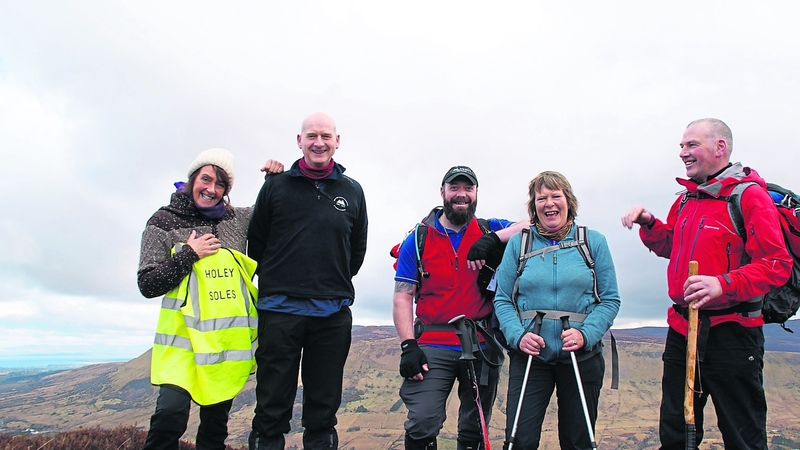 Leaders, Eithne McNulty and Pam Scanlon, Holey Soles, with Gareth Armstrong, Bert McMaster and Barney McLoughlin, North West Mountain Rescue Team. The North Leitrim Glens Hillwalking Festival is run by the Holey Soles Hill Walking Club and guides from Leitrim Landscapes Guided Walks. Support from local communities, landowners and sponsors, Trail blazers, Call of the Wild and Leitrim Co Council ensure this festival becomes a reality. The guides who help from NI’s North West Mountain Rescue Team and the watchful eye of the Sligo Leitrim Mountain Rescue volunteers who are on call for the festival, ensure everyone feels safe on the hills. 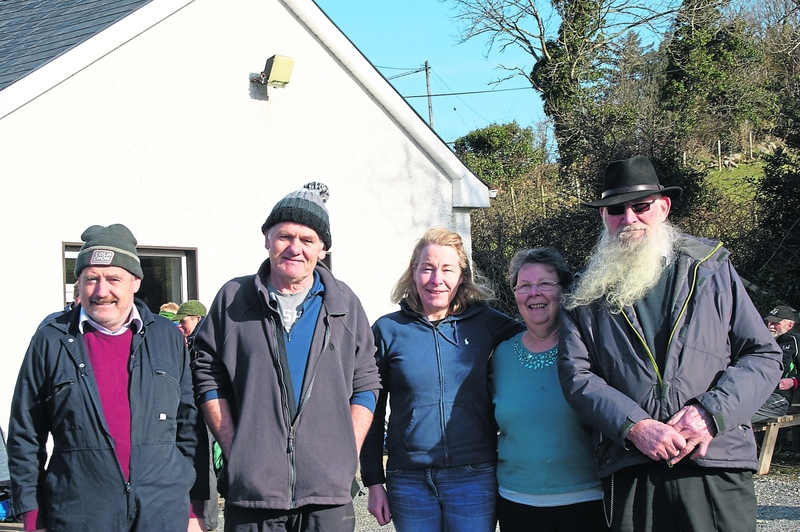 The Aghanlish Community Centre crew - John Gerard McGloin, Martin Branley, Bridie, Winnie and Oliver Branley.